It all started with a tile! I was buying some tile for another client when I saw this guilded travertine tile at Ann Sacks. 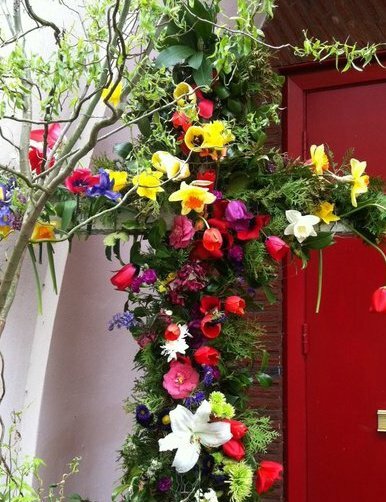 That was all it took to inspire me to start what I’d been putting off and redecorate my kitchen, den and dining room. It’s called Lux travertine and it looks 3 dimensional and the tiles vary in surface texture, color shade and size. The pewter color of the stone has gold undertones which are the colors I used as the base for my new design. But, lets go back to the beginning! The kitchen walls were yellow, with white cabinets & trim, and black granite countertops. 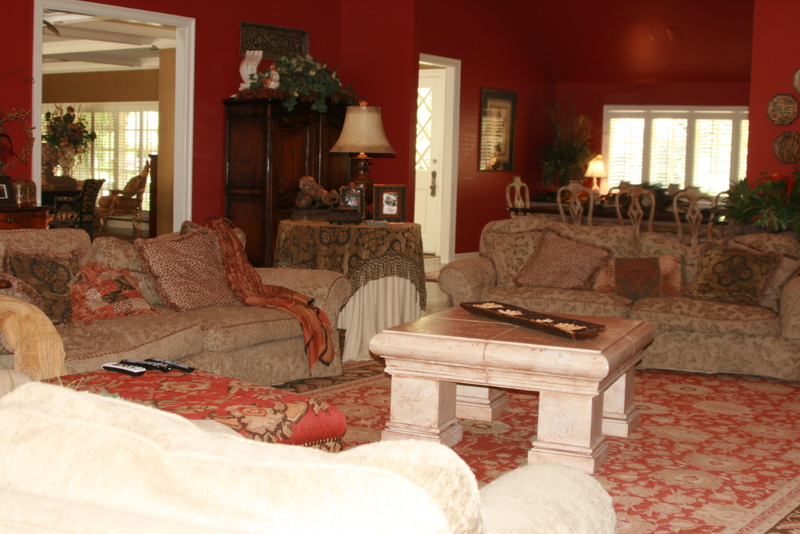 The walls in the den and dining rooms were red with taupe upholstery and furniture. I envisioned a formal look with soothing colors and a softer feel. Just because rooms are formal doesn’t mean they are stuffy and unfriendly. Maintaining a relaxed, inviting home is key. That can be accomplished with colors, plush fabrics, & comfortable spaces. Looks are important, but so is comfort. 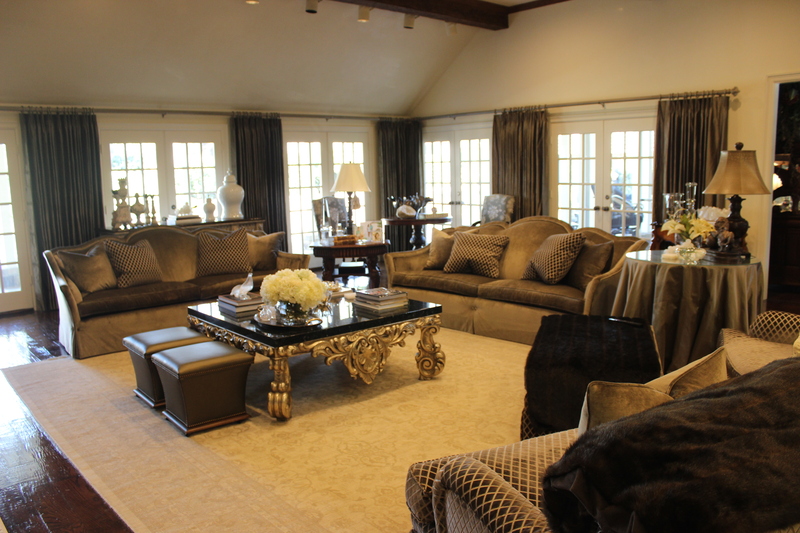 I want to sink into the furniture and feel warm and cozy – create a harbor for long days and lazy Saturdays. The walls of the dining room, kitchen and den needed to be the same color and I chose creamy white Venetian plaster for the walls. I like the way the plaster looks on the walls. It creates a finish that is all natural, and iridescent, with depth and movement. Keeping them all the same color enhanced the natural flow of the rooms instead of breaking them up like before with different paint colors. In the kitchen, I knew the white cabinets had to go! I considered using a high gloss black paint, but it wasn’t quite what I had in mind. I kept working with samples of paint until I found the right combination. 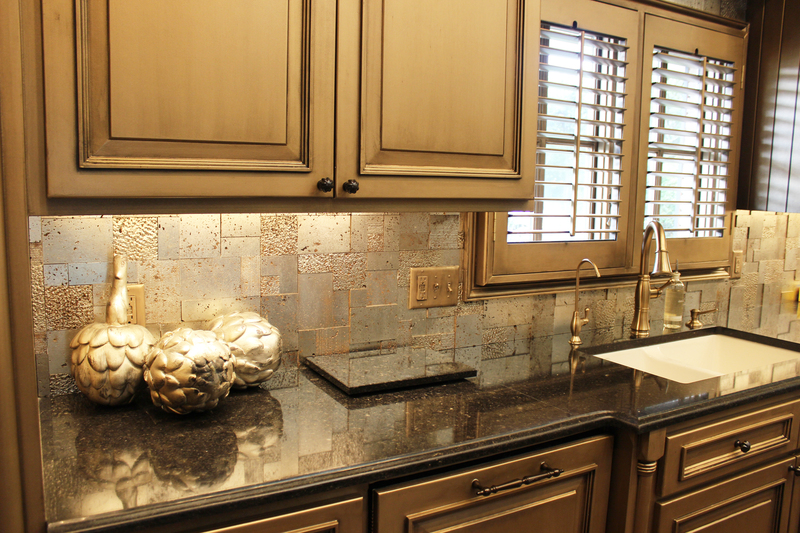 It has a beautiful sheen that blends perfectly with the kitchen backsplash and fabrics in the den. The granite countertops were replaced with black quartz countertops. 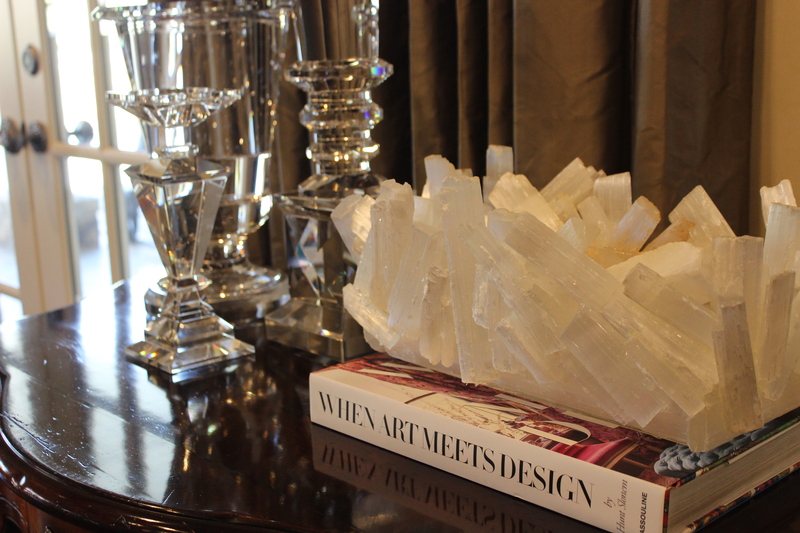 The quartz is so easy to care for and it looks great all the time. 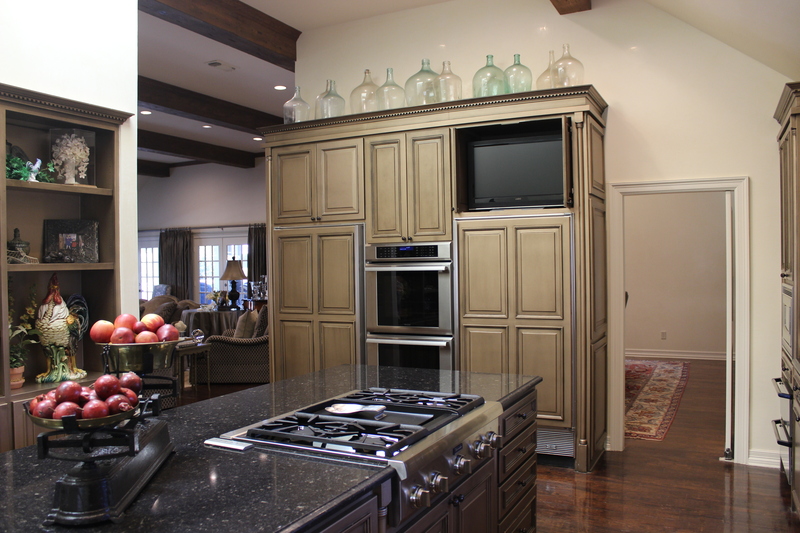 For more about countertop selections read How to Choose The Right Countertop. Our den is so big that I thought I’d be able to fill it with two seating areas, but I was wrong! Its all about scale and how the sizes and shapes of furnishings work together. So, I bought oversized pieces of furniture and used 2 sofas for the same living area. 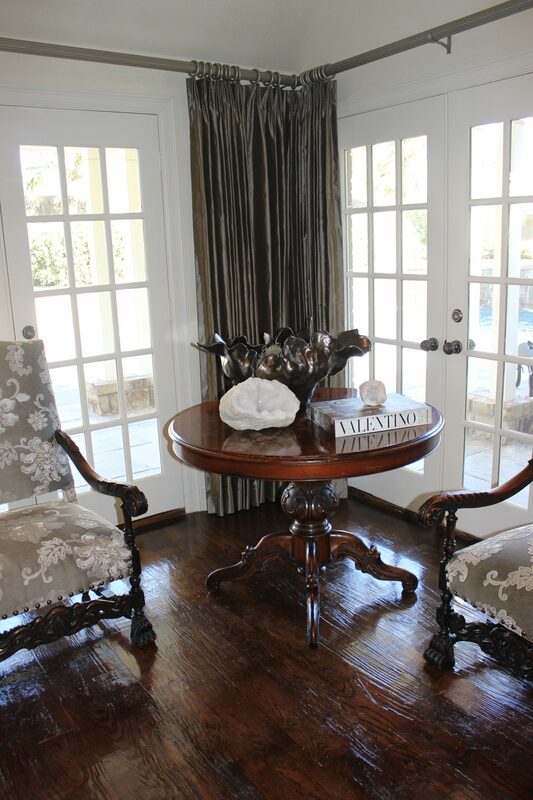 Placing furniture against the wall & windows was just enough to balance the room. 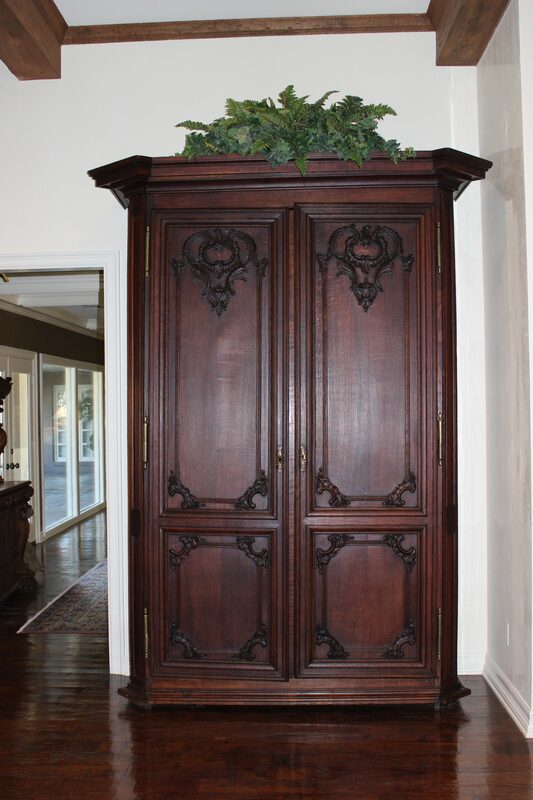 The large armoire served as a transitional piece between the den and dining room. 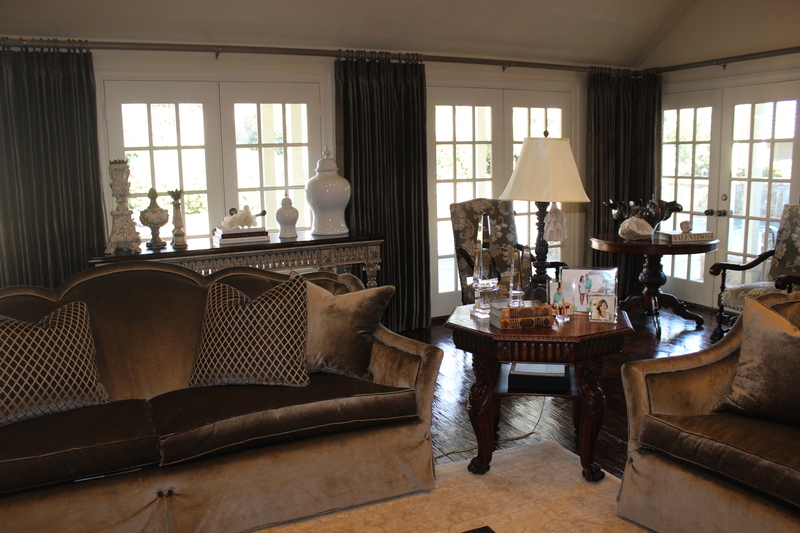 The sofas and chairs are covered with rich, luxurious velvet. It is not only beautiful – it feels wonderful! It has a chameleon sheen and varies depending on the time of day. 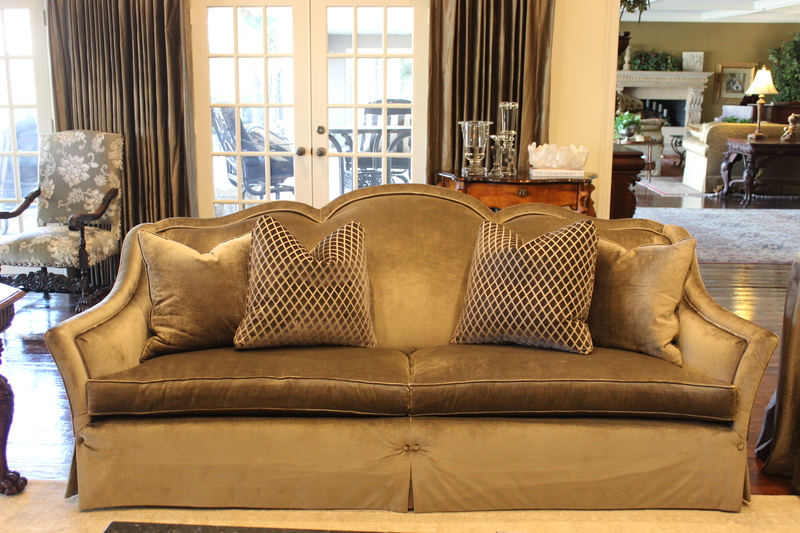 The sofas have curvy backs with a tailored skirt. 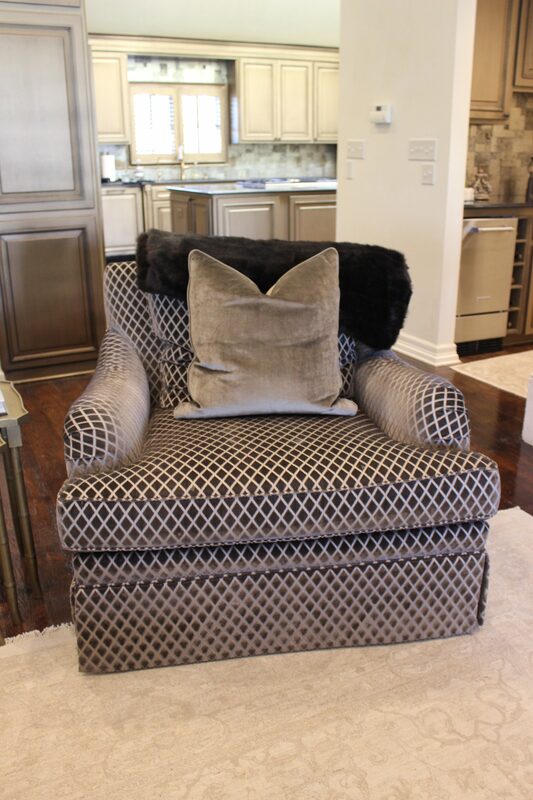 The chairs are big and comfy covered in a simple geometric pattern with contrasting colors. The large coffee table is the centerpiece of the den. 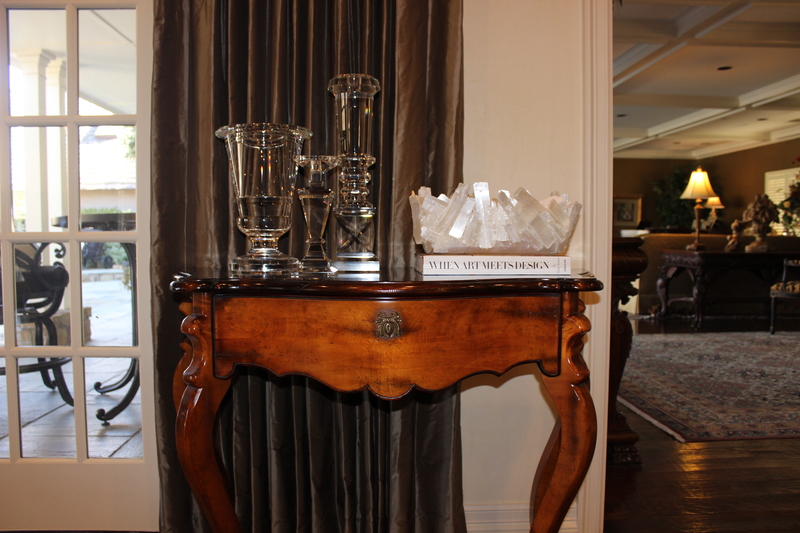 “Bigger is better” usually applies when deciding between one large piece over a grouping of multiples. 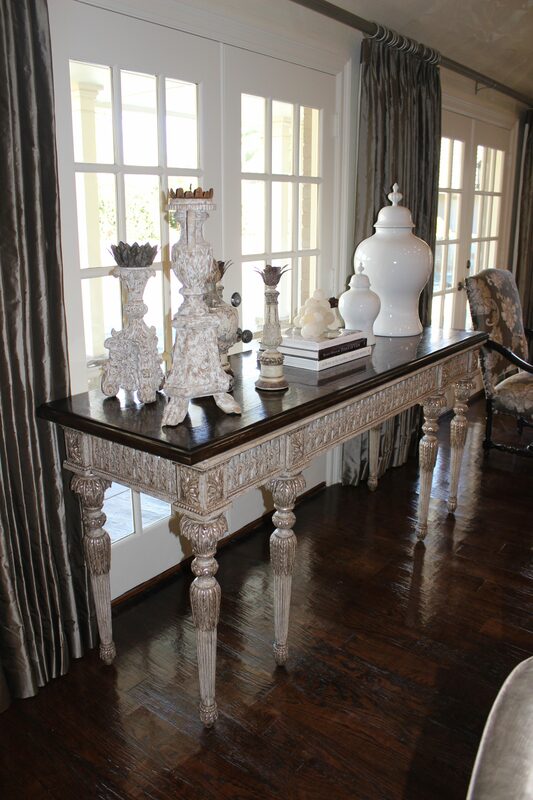 The end tables don’t match – there is a round skirted table, a group of nesting tables and an octagonal wood table. Different styles and look but they fit right in. 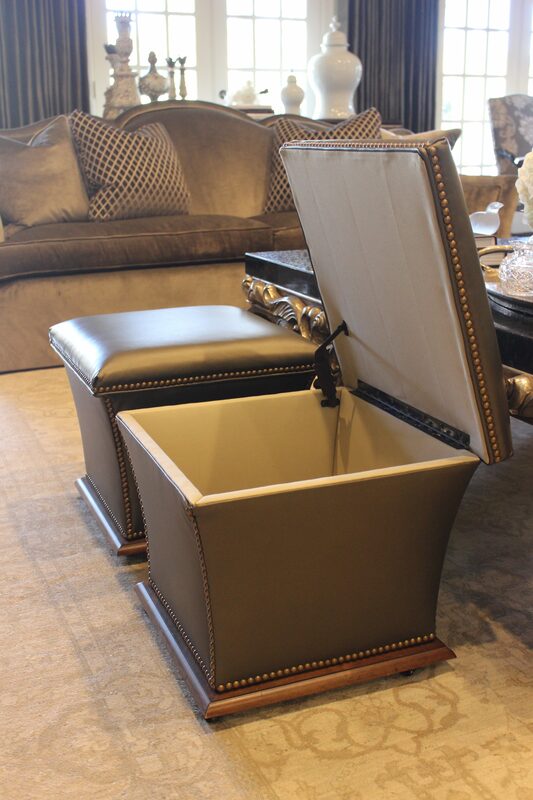 The small ottomans have leather upholstery and serve to provide additional seating and storage. The media center and fireplace are next to each other on the same wall. 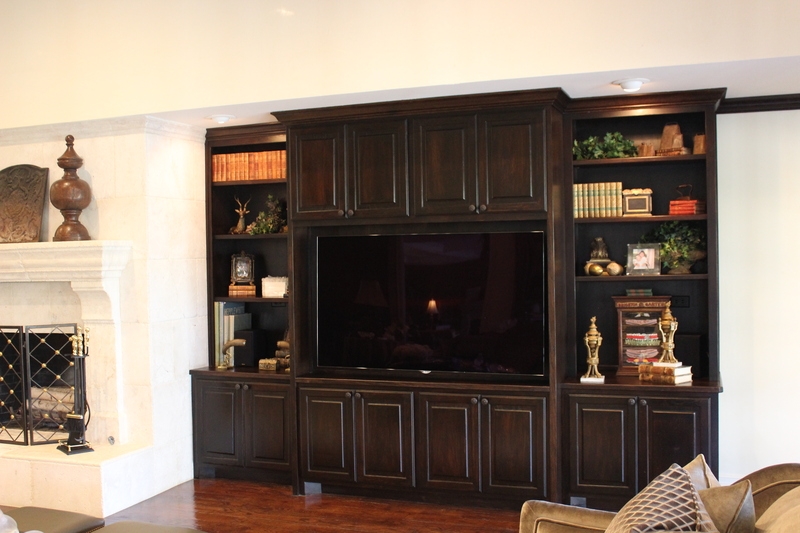 The media cabinets were painted matte black and the old brick fireplace was redone with stone. Here you can also see the bar just off the den which was updated with the same lux travertine backsplash and cabinet paint as the kitchen. 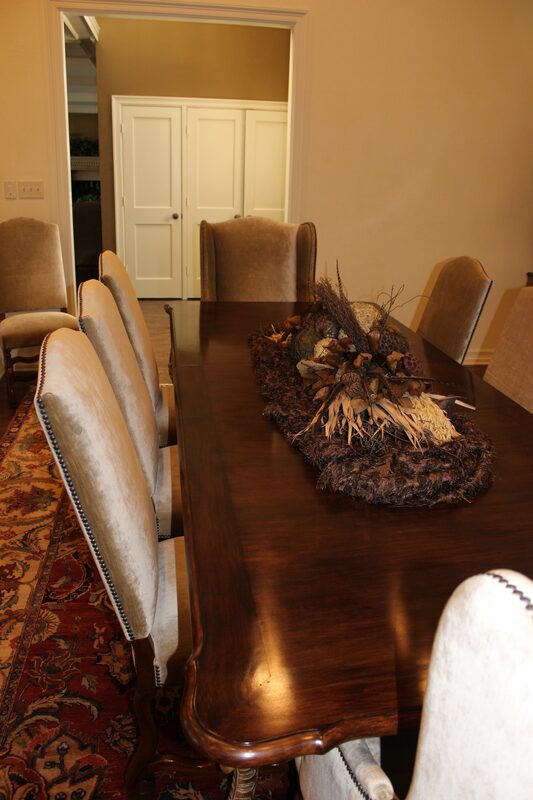 Since the dining room is so visible and open to the den it needed some changes so it wouldn’t look out of place. The walls were plastered and the chairs were recovered to match the sofas. 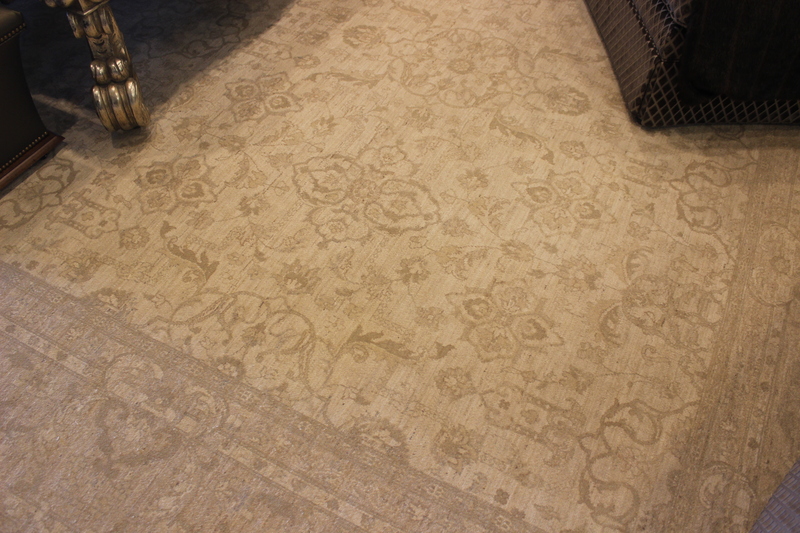 The creamy white and subtle gold tones of this rug tie the colors of the room together. I didn’t have curtains before this makeover and adding them really changed the way the den looked. I think it’s a big improvement because they add such warmth. Silk and fashionable they accent the room and the windows. 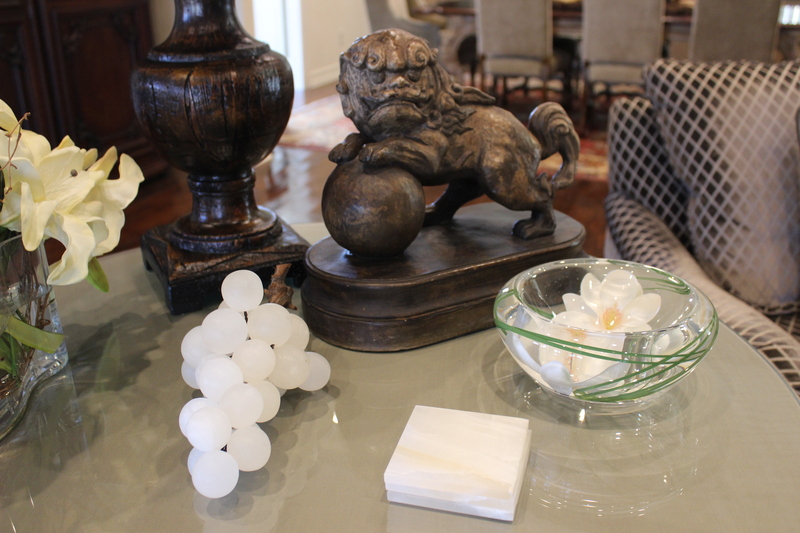 Accessories are the finishing touch to every interior design. It’s a way to display collectibles and unique, interesting pieces. You’ll find design elements that are popular today included in the furniture, fabrics, and colors I used for my new interior style. 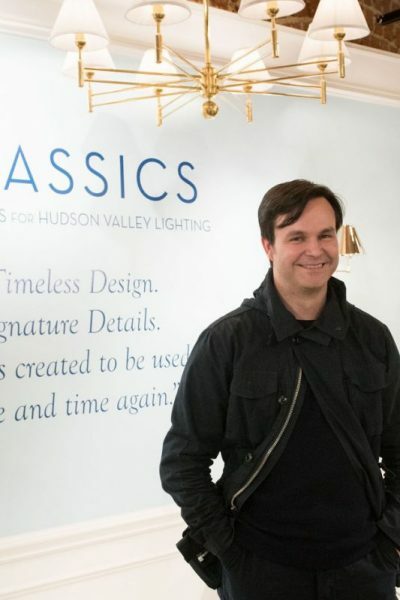 Read about the design trends for 2019 here. What a glamorous but inviting Remodel. Thankyou for showing us your lovely home. As i was browsing i caught eye of an edition of ‘ Vanity Fair 100 Years’ that i too display in my home. It was my Father’s and still holds his bookmark inside. 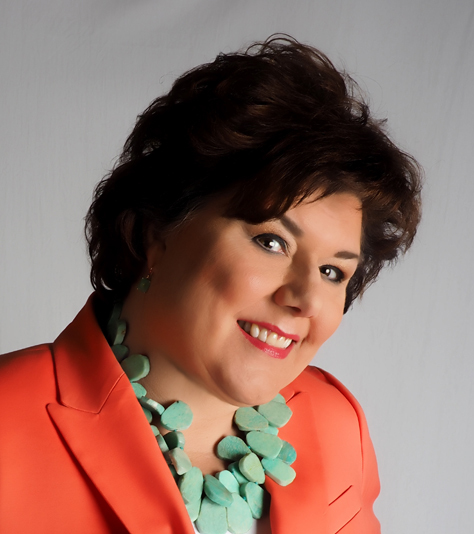 I always enjoy your Blogs Leslie. Thank you for the kind words. What a treasure you have in your father’s you have on your fathers copy of Vanity Fair, including the bookmark. I appreciate you taking time to read. 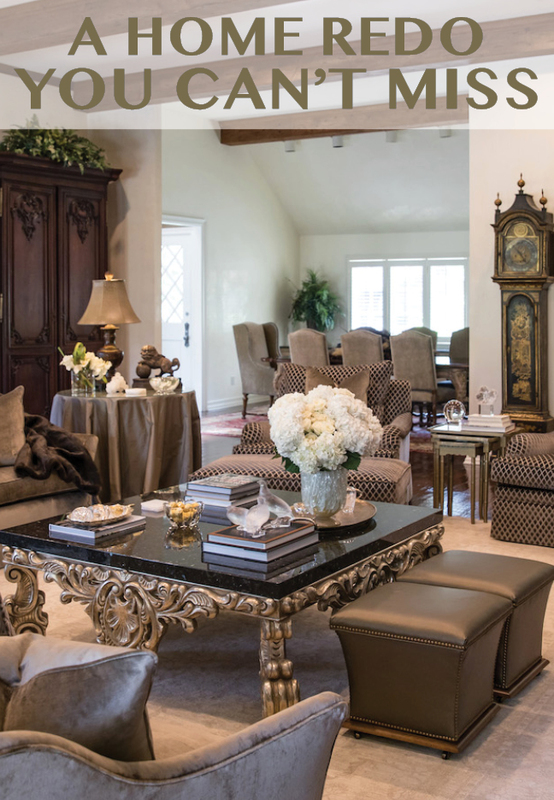 I know how much time and effort you invested in redecorating your den and kitchen, and it all came out looking so personal, warm, gracious and glamorous, a perfect reflection of you and your family. I appreciate your comments. 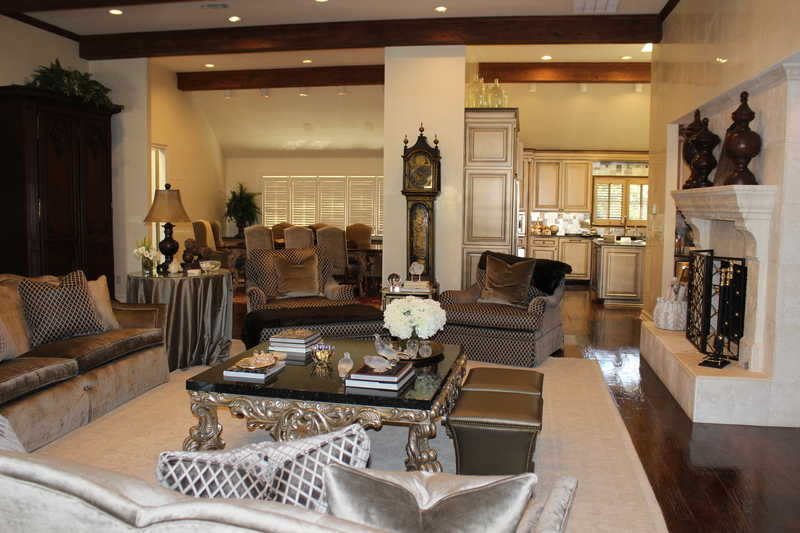 It means a lot to me that I have created a glamorous yet inviting space for my family. 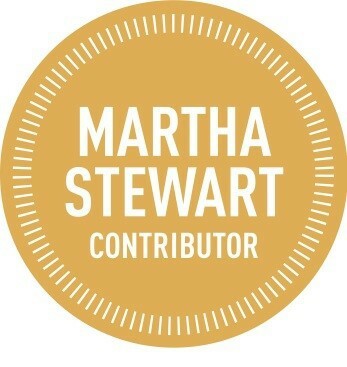 Thank you for allowing me to share my blog. You are much appreciate YOU! It is evident that your house is a home. 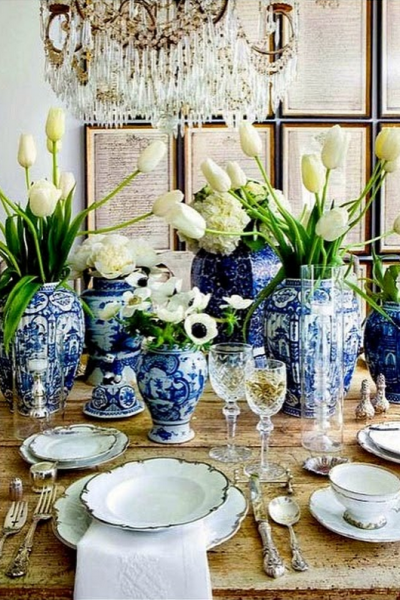 The tile is wonderful and I love the way it was the inspiration for your home – tying it all together. It is funny that a single tile can be the inspiration for a multi-room design. That tile is fabulous inspiration! Stunning update. 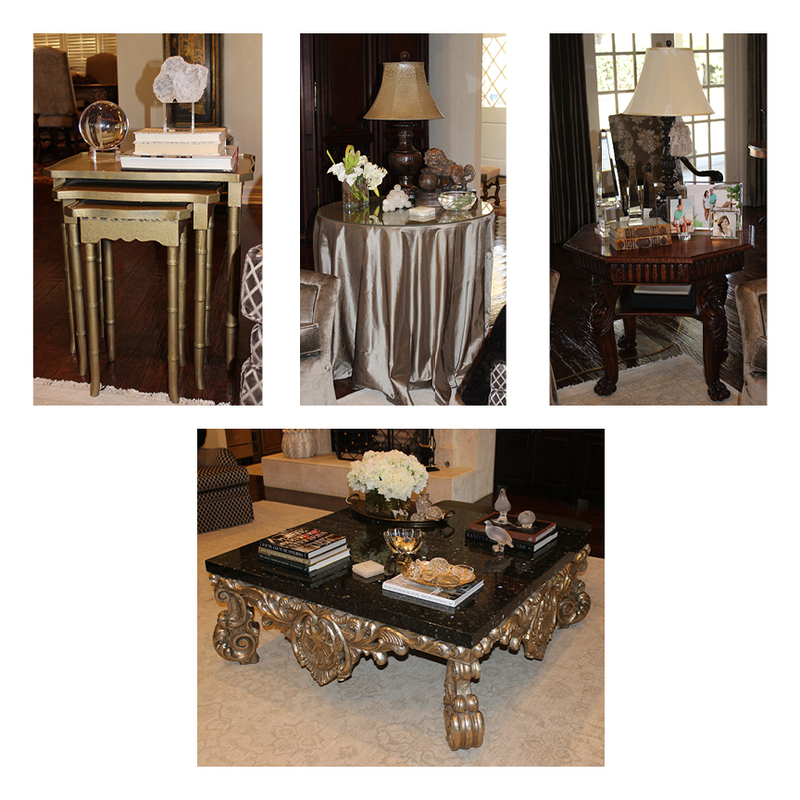 Love the neutrals that set off the rich woods and metallics. Gorgeous! Thank you so very much Jeri! I have loved the space. A side note is that we are now empty nesters and the furnishings are holding up perfectly without kids in the house! Lovely update indeed, Leslie! 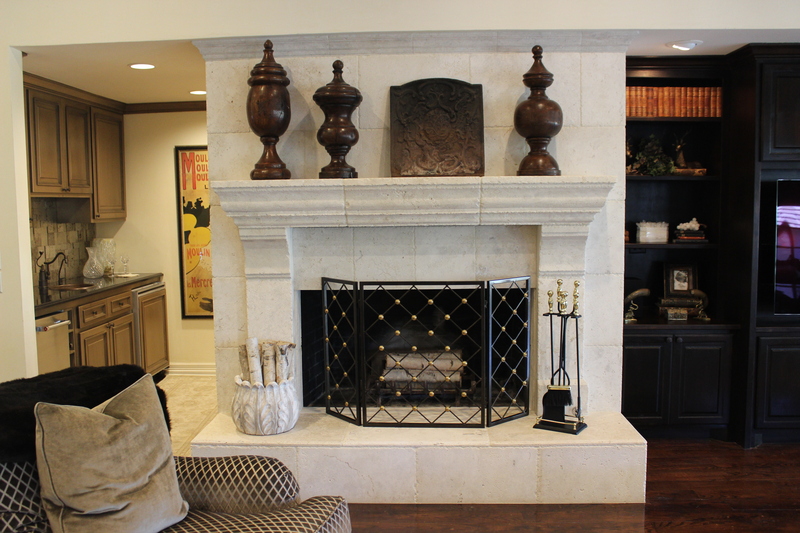 Really love the stone fireplace and how fresh the light color is. 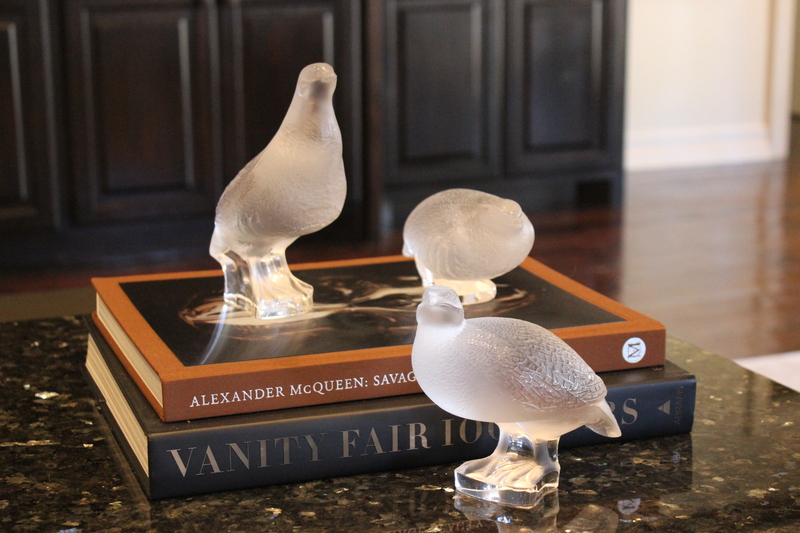 You’ve left your beloved items and updated to showcase them beautifully. I consider that a great compliment coming from you. I truly appreciate it! Lovely update, Leslie! 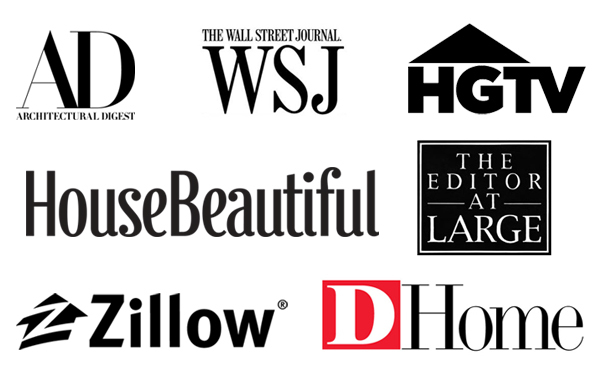 I know that Ann Sacks tile and I ADORE it – It is the perfect look with all your finishes! Since I designed all of the room around the backsplash its fair to say I adore the tile. Thanks for taking time to read the post! Love the warm welcoming feel! and it still looks glamorous! Thanks for sharing! Thank you so much for taking time to read the post. I appreciate it!